So unless you have been living under a rock since April 20’th you should know there is an oil leak in the Gulf of Mexico (ironically the leak is one thing that has avoided living under a rock). You may ask yourself ‘why would a food blog care if 25,000 to 30,000 barrels of oil per day were being dumped into some ocean?’ Unless it was olive oil I would say you have a valid point. But there is one consequence of the Brit’s incompetence which is of relevance to food enthusiasts: High Shrimp Prices. We Americans truly love our shrimp. It’s the number one seafood in the US with average consumption around 4 pounds per person per year. Any average American (minus those with shellfish allergies or following Kosher Law) will agree that shrimp are awesome, just ask Pvt. Benjamin Buford 'Bubba' Blue. But sadly shrimp may become another commodity, like lobster or healthcare, that will be out of reach for the average consumer. Since the spill began in April news for shrimp lover’s wallets has not been good: Louisiana’s shrimp production has fallen to just 30% of normal levels, the price for frozen shrimp has increased about 30%, wholesale prices are up 40%, in North Carolina a 50-pound case of shrimp has jumped more than 60%, and even imported shrimp have risen 13%. The shortage in the Gulf combined with an already tight global shrimp market (thanks China) will surely spell further increases for a long time to come. Things are getting so bad that the government has begun to train people to literally sniff out tainted seafood. 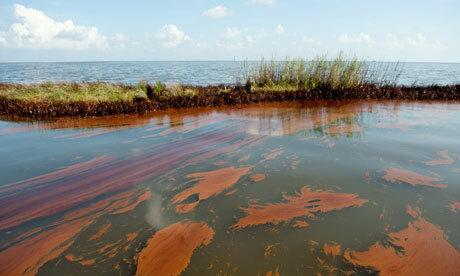 So why has it taken so long for BP to solve this mess and stop the rising shrimp prices? The answer is obvious. BP is the UK’s largest corporation with close ties to British government and the royal family. We all know that England has been plotting revenge since the Revolutionary War and this goal has only added fuel to the fire. So by allowing the oil to continue to leak, England will cut off our domestic production of shrimp forcing shrimp crazed Americans to turn to shrimp farms in Asia (China) for our fix. China will simultaneously gouge Americans with inflated shrimp prices and supply Chinese food restaurant owners shrimp at heavily reduced costs. Thus driving Americans to either empty their wallets to the shrimp farms or buy shrimp lo mien from Chinese entrepreneurs. Ecological and economic warfare, elegant genius. And what does England get in return? All the tea in China perhaps? But this is just all speculation. In all seriousness this is one of the many consequences that will stem from this human caused disaster. The spill will alter everything from the ecological diversity of waters thousands of miles away to entrée diversity on your dinner plate. Its times like these that I wish I had a shellfish allergy.